When Albert Einstein was 16 years old, he applied to the Swiss Federal Polytechnic school in Zurich, Switzerland. He did well on the math and physics portion, but he failed the general part of the exam. Knowing the hard stuff wasn’t enough to get him into college- that’s very much how the CPA exam is. But, Einstein went on to apply a second time a year later, and he got in. This little story about our favorite genius reminds me of the first time I took FAR. I spent most of my study time mastering the hardest FAR topics, because I assumed the test would be full of calculation-heavy questions on things like pensions, stock compensation, and dollar value LIFO. Alas, on test day, I found out that while there were SOME of these hard questions, it was much more important to have a general understanding of all FAR topics… not just the hard stuff. Don’t get me wrong…. learning enough about each topic to actually pass FAR or REG is still incredibly tough. The amount of information you’re supposed to know is massive. Even BEC and AUD are still very tough exams compared to the average test you took in college. And there’s so much of it that you can study for two months, learn a shipload of new concepts, and then take a practice test and find out that you’ve forgotten everything you studied in the first month. It seems a lot like shoveling poo… except with a spoon. 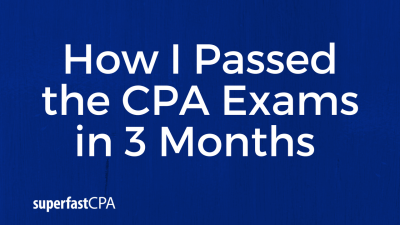 I’ve personally seen at least 10 people start in public accounting with the idea of making it a career, only to leave 2 years later because they can’t pass the CPA exams. I also know people who have been trying to pass them for years. YEARS…. that is a terrible thought. And some of them I know for a fact are smarter than me- there’s something about taking the tests that gets them. Now, after that first failed attempt and learning what I had done wrong, I went on to pass all four sections within 3 months of each other. 3 months total. I’m not trying to brag- I just believe I stumbled onto a better way of studying. This is a little counter-intuitive. The dedicated student in you wants to make sure that you give yourself plenty of time to really “learn the material”. And… while you do need to kind-0f learn the material, being able to pull it all out of your brain on test day requires more of sprint-type-studying instead of marathon-type-studying. Giving yourself four months to study for FAR is a recipe for disaster. Passing these exams is all about R-E-T-E-N-T-I-O-N, and if you’re spreading a test out over several months that’s much harder to do. Another big problem you have is by taking 3-4 months per section, that 18-month time limit creeps up on you pretty damn fast… way faster than you think. I know several people who started when I did that have now had multiple sections lapse. If you think failing a section is bad, try passing a few and then having to take them over just because they lapsed. There are several things you can do to make your retention sky-high, without having to do a bunch of cramming in your last 2 weeks. More on that in a minute. This one is the cause of many, many wasted hours… all while the innocent candidate thinks they’ve been studying. You sit down, open up your CPA review course, and you turn on a lecture. Nice… you’re now studying…. start the timer mom I’m studying! Except you’re not really studying are you? Your mind starts to wander after a minute, and then the video lecture ends you realize you didn’t learn a thing. Also, even if you do pay attention to the whole lecture, what do you do with the info dump you just received? It’s hard to take that much information at one time and remember any specific part enough to be able to answer questions about it. That’s what reading the chapter is for right? “Reading the chapter” will basically give you the same result as “watching the lecture”, but almost every single CPA candidate approaches studying this way. There are much more efficient study methods that you can use. More on that in a minute. This is probably the biggest mistake. I call this the “difference-maker”, meaning that most people who do this will pass, and most people who don’t do this will fail. A mini-session is just what it sounds like: you do a little study session every time you have 5-10 minutes throughout your day. There are several benefits to doing this. Mainly, the effect on your long-term memory is much greater by doing some CPA review multiple times each day versus just one study session. Also, you don’t need to try and fit in a 3-4 hour study session. If you can get in 5-10 “mini-sessions”, then you can keep your main session to just 1-2 hours, which is much easier to handle each day from a mental/emotional/routine perspective. So what should you study in these 5-10 minute sessions? I’ve got some specific recommendations on that. Keep reading. 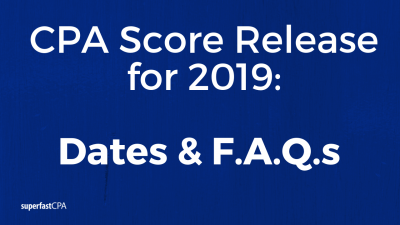 This is another score killer that seems like it should be a good idea. You spend months studying, you stick with your plan and finish your lessons with two weeks left to go. Now you just have your “final review” left. Except it’s really a terrible approach. Think about it… the amount of information that you’ve put into your head has taken you months to get in there, and now you’re going to essentially re-learn it within two weeks? It doesn’t work like that…. and it doesn’t… if you’re tried this yourself. All a “final review” does is remind you of how fragile your understanding of the concepts are, and then you go in to the test with very low confidence. And for good reason. Again, there is a much better approach than leaving your review for the final two weeks. If any of these mistakes sound familiar, I want you to join me on one of my webinars where I walk through the solutions to these problems in detail. 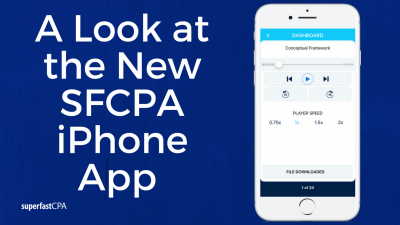 Also, if you’re on the webinar live I’m going to give you a free copy of my CPA flashcards. They include 750+ flashcards covering all 4 sections, you can edit them for your own purposes. Don’t miss the webinar- this is where I give my best advice that you won’t hear anywhere else.